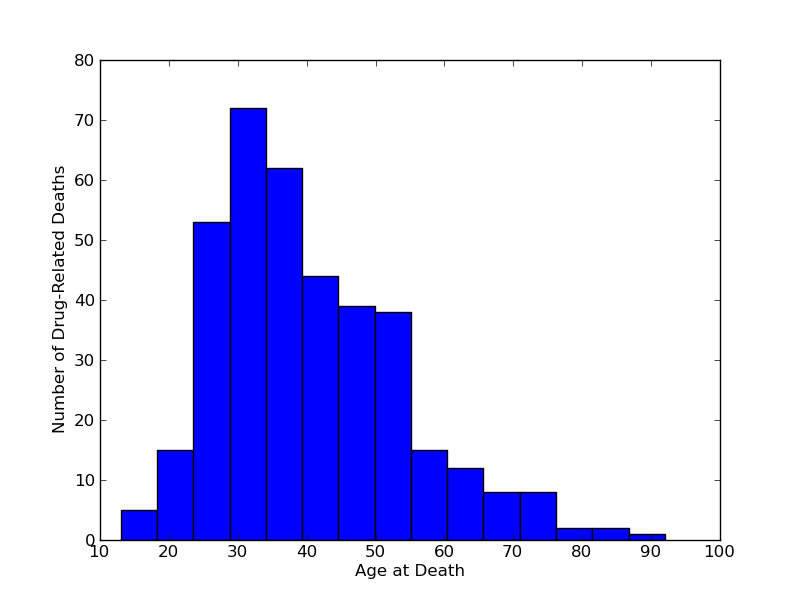 In that distribution, the median age is actually 38, and the most likely age for dying from drugs or alcohol is 34. But, the myth is about musicians especially, so what about them? Thankfully, the Wikipedia article also listed the professions of the people cataloged. The page listed a total of 72 musicians. 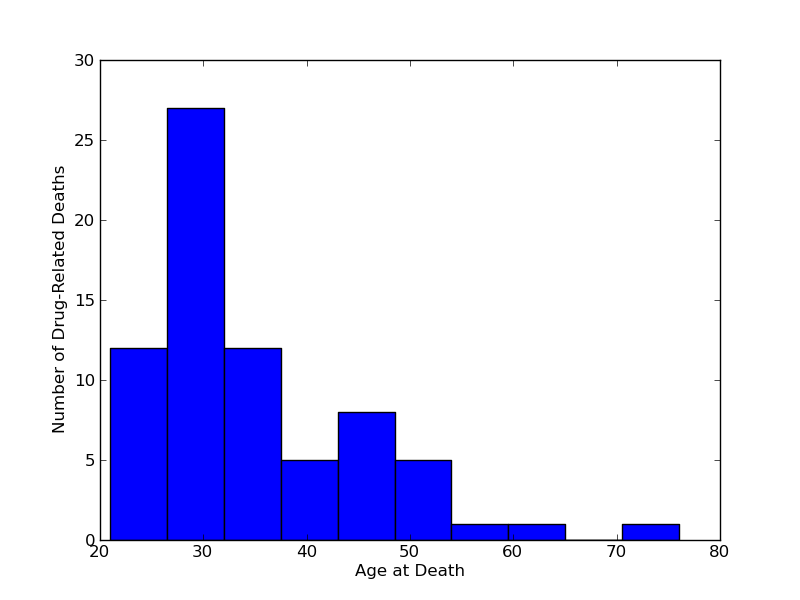 What I found when looking at this subset surprised me: the most likely age for a musician to die from drugs is in fact 27! The median is also much lower, at 31 years. So perhaps the 27 Club is one of the rare cases of pop culture and urban legends actually stumbling on an accurate statistical occurrence. Naturally, take what I found with a grain of salt, as it was whipped up in an hour, using a single Wiki article as a source. Nonetheless, it looks like 27 is indeed a bad year for musicians.